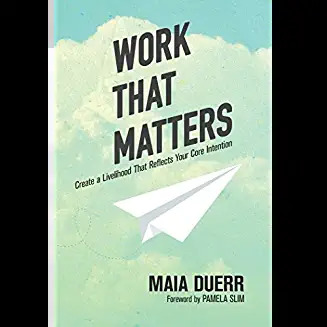 Maia Duerr speaks about her book Work That Matters: Create a Livelihood That Reflects Your Core Intention. If you’re listening to this podcast, you may be one of the people whose livelihood, what you do to earn a living, is closely aligned with your intentions, values, and aspirations. Or you may be as I have been, until relatively recently, making your way in the world doing something enriching, but not necessarily nourishing or fulfilling. We may be very successful in careers that earn us prestige and a comfortable social class, but… is that enough? Having made the change myself a few years ago, of course there are difficulties and adjustments to make. And I would do them again, in a heartbeat. Throughout her life, Maia Duerr has been passionate about pursuing the question, “How can I create right livelihood?” She has served as Research Director of the Center for Contemplative Mind in Society and Director of the Upaya Zen Center Buddhist Chaplaincy Training Program–among many other jobs, ranging from alfalfa sprout packer to anthropologist to Buddhist chaplain–to finally realize what she calls “Liberation-Based Livelihood.” She defines this as livelihood that is an expression of your life’s Core Intention. 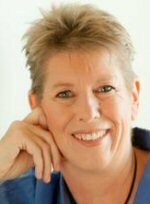 Duerr has an MA in Cultural Anthropology from the California Institute of Integral Studies and currently lives in Santa Fe, New Mexico. She blogs at The Liberated Life Project.